The Yonkers Aleph Champion Program© is on the cutting edge of Hebrew reading today. Modeled after the Karate/Martial Arts motivational system, it works by dividing different reading skills into levels defined by color. Students understand that their teacher is a black aleph champion and their goal is to reach that level. As the children compete and progress, we'll post our champions' levels on our website! 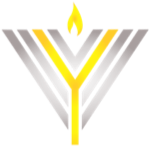 Visit this Yonkers Hebrew School page often for our latest aleph champ updates. 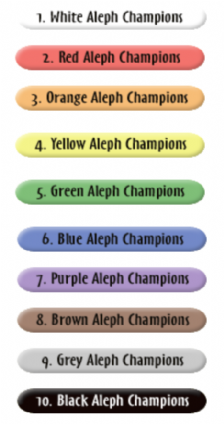 Students start as a white Aleph Champ learning half of the aleph bet. They work their way through the different levels "belts" until they become a black Aleph Champ with the ability to read fluently from the Siddur (prayer book).